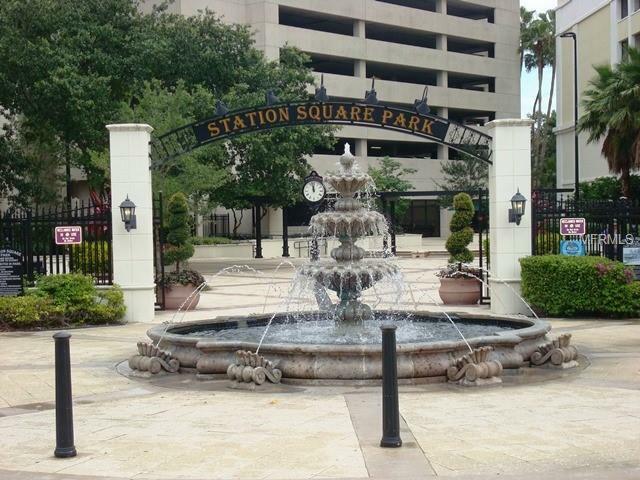 STATION SQUARE is located in the heart of downtown just minutes from the award winning Clearwater Beach. LOCATION, LOCATION, LOCATION. Enjoy the urban lifestyle with a stroll to nearby restaurants or take in a show at The Capitol Theatre. Visit the Clearwater Maine Aquarium and meet Winter the dolphin and his girlfriend Hope or jump on the Jolley Trolley and enjoy the beautiful white sandy beaches while sipping one of your favorite cocktails. Watch the dolphins play and enjoy a beautiful sunset. Bring your personal items and move into this turnkey unit. Park your car in the assigned parking space in the under building garage. Walk to Coachman Park to enjoy a concert/festival or hop on the Clearwater Ferry for a short boat ride across the water to Clearwater Beach or take a bike ride across the Causeway Bridge. This unit is available immediately for short term rentals April through December.In Seasonal rates for short term leases may vary depending on terms and conditions and length of Lease and a 13% tax will apply for Leases less than 7 months.